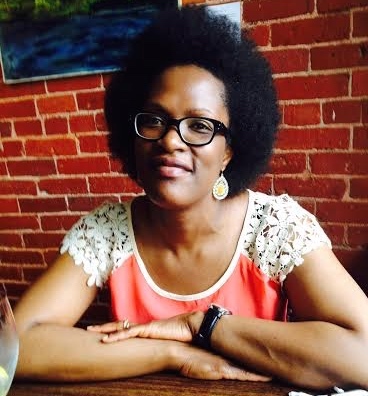 Subrena Smith is Assistant Professor of Philosophy at the University of New Hampshire. She works at the intersection of biology and psychology, where she focuses on topics about human behavior; she is especially interested in the ways evolutionary theory is used to explain some aspects of human behavior. Subrena is a Jamaican transplant by way of England, where she caught the philosophy bug. She received her BA in philosophy from Birkbeck College, University of London, and her Ph.D. from Cornell University. Meena, thank you for starting Philosop-her and for inviting me to write for her. My philosophical interests move between biology and psychology. I am interested in human behavior, and I think about human behavior (very broadly characterized) in the context of biology and psychology. My temperament and approach are empirical, and I privilege methodological approaches (messy as they are) that are our best candidates for acquiring knowledge: namely an innocent brand of empiricism—what counts as knowledge involves evidence of investigations, interpretations of evidence, drawing inferences about postulated entities, and framing theories connecting all of these together. This philosophical style puts one squarely at odds with the members of two opposed intellectual camps. In one camp are those scientists who are unsettled by a philosopher with no formal training in the physical sciences purporting to call work from their disciplines into question. In another camp are those philosophers who take my approach to be insufficiently philosophical because I place too much emphasis on scientific resources. One group thinks of my approach as too philosophical, and the other thinks of it as not philosophical enough. It is this latter camp, the one occupied by philosophers, that I will be addressing below. I have been thinking about the charge of scientism for some time now, because it has always struck me as strange. When you are told that your work is marred by scientism, it’s not a compliment. At the extreme it is an insult and at the less extreme it’s a way of dismissing you. You are not thoughtful, you are worshiping at the altar of science, your views about human beings (who we are, what we can do) stink of essentialism—a biological determinism of the worst kind. It’s tempting to just dismiss such talk, but I think that this is an issue that thoughtful people should want to think about. When I was a graduate student, I once had a conversation with a fellow student during which I declared that a starting-place for my thinking philosophically about issues in the philosophy of mind, epistemology, and ethics is to take seriously that human beings are organisms and all that follows from that (an uncontroversially trivial point, but one that I think is useful to keep in mind when confronted by ideal theorizing about human capabilities). So any analyses of those human capacities (if they are to work) must minimally be consistent with the fact that human beings are organisms. My grad school brother listened and then he responded “Yeah, but that’s scientism!” I attempted to address his dismay by saying something (very clumsily) that was intended to show him that my scientism was the “good” kind, so he should agree with me. It didn’t work. Since that first discussion, I have seen and heard people respond to some work in philosophy in the same way. So, a part of my motivation for writing about this here is fear. As a new tenure-track philosopher who must publish or perish, I wonder sometimes if I have the “right” kind of approach to doing philosophy, and therefore will perish. True, there are plenty of stellar philosophers working in the areas that I’m interested in who’s work gets published, so there is no reason for me to be fearful because there is a home for me in philosophy. But still…. It’s common to hear talk that “science shows….” or “the scientific method…” when one wishes to confer authority upon some claim. I prefer to say that scientific methods can be relied upon to yield knowledge. I say “the scientific methods” because it is clear from a cursory look at what scientists do that doing science does not involve a univocal method, but that there are various candidate methods. What’s important is that investigations are undertaken in atmospheres in which practitioners are sensitive to evidence, that claims can be revised or rejected in light of that evidence, and that there is a milieu that is generally responsive to such considerations. My point is not to define what science is, but to provide some heuristics that inform my approach. Assertion: “Your work is scientistic!” is really a roundabout way of saying “I disagree with you!” “Your inferences are wrong!” “That doesn’t make sense!” “That’s too deterministic for my liking!” “Your thinking is too uncritical!,” etc., etc. If that’s your position, then say so! I think that my graduate schoolmate had something like the above in mind when he accused me of scientism. I don’t think that he disagreed with my assertion that humans are organisms, but he didn’t think that it had much philosophical significance. Granting this, it’s not clear why he characterized my metaphilosophical stance as “scientism.” My hunch is that he was uncomfortable, philosophically, with what I had said because he was worried that if philosophical questions can be settled by (for example) biology, then there would not be any space left for pure philosophy. I think that amongst philosophers this anxiety explains the tendency to distance oneself from work that is thought to be too empirical. But this position is very strange. I think that it’s difficult to find philosophers who believe that their work does not have some empirical features. Philosophers are interested in the world, and as such I think that the sorts of questions and claims that they make are, for the most part, about the world—including unobservable, but postulated, features of the world. Claims about consciousness are empirical. Claims about the metaphysics of gender are empirical, and so are claims about the nature of moral judgment. Philosophers like myself go to biology and psychology because we believe that the methods used in those domains often enough provide us with explanatory resources which help us to adjudicate the philosophical issues. We do not worship at the altar of science; we embrace those methods that stand the best chance of being knowledge-producing. So what, then, does my approach look like? As I mentioned at the top of this post, I am interested in human behavior: how to best explain human behavior at the individual, population, and species levels. I am interested in what counts as a behavior-type among and between disparate peoples. I am interested in what biologists say and why they say what they say. I am interested in psychological research into human behavior and in the interpretations of those results. And I am interested in how biological-scientific claims are used socially and politically. But I am most interested in the ways that evolutionary theory is appropriated to give origin explanations of human behavior. My interests are mostly empirical—these questions can in principle be settled by looking at the world, since there are ways the world is. No one should disagree with the claim that human behavior is apt for empirical treatment and that particular claims about types of human behavior are empirical. But granting this does not settle important philosophical questions. In my work, I take on board some of what biologists say (for example, that humans evolved rotating shoulder joints, which enables them to hurl projectiles effectively, and that human females evolved concealed estrus). These are settled issues, but important questions remain concerning them. Some of these are questions about adaptation. Is the best explanation for the presence of rotating shoulder joints that they were selected for throwing? It’s not clear that the answer is “yes,” and whether one should conclude it is may be dependent on comparative evidence and whether the adaptationist model best captures the evolutionary situation. A lot hangs on these issues. Getting down to specifics, here is an example of work that I have done that engages closely with biology. It concerns Ruth Millikan’s treatment of human purposes. In her Varieties of Meaning (2002), she remarks that purposes as ordinarily understood—people’s (intentional) purposes—are made from more basic sub-intentional purposes, by which she means that people’s purposes are knitted together from sub-intentional systems with selected-for purposes to create what one might call real purposes. Millikan argues that “[N]o interesting theoretical line can be drawn between these two kinds of purposes,” because “purposes of the whole person are made up out of intertwined purposes at ‘lower’ or more ‘biological’ levels” (ibid.). I take Millikan’s claim to be an empirical one—there are, she believes, facts about the origin of human purposes. I take it as uncontroversial that human beings have purposes (behave purposefully). I am also sympathetic to the view that there are sub-intentional processes (that are purpose-like) that operate within us. But I disagree with her assertion that because intentional purposes are made up from those sub-intentional processes, no interesting theoretical line can be drawn between them. Now, I take my disagreement with her to be a philosophical bone of contention. It is a philosophical matter what counts as a purpose. My argument is that merely “appearing” like a purpose is not sufficient for something to be a purpose. Purposes, I claim, are the sorts of things that only whole persons can have, and I argue that Millikan’s mistaken analysis comes from her treating sub-intentional processes as purposes. One may disagree with my treatment of Millikan’s view, but it’s not clear to me why this sort of work could, or should, be charged with being too scientistic. So tell me, how is this not philosophical enough? Millikan, R. G. (2004). Varieties of Meaning: The 2002 Jean Nicod Lectures. Cambridge, MA: MIT Press. Excellent conclusion! Bang! Made your point perfectly. Your position, especially in regards to starting with the fact that humans are organisms, reminds me of my Doktormutter, Marjorie Grene. Nobody in the known philosophical would have dared to call her unphilosophical!! So don’t let them bug you about it! I have no problem with (in fact I applaud) your acknowledging that humans are organisms. What’s the alternative? I’m less convinced about the issue you raised wrt Millikan. That strikes me as “too philosophical” (in a bad sense). It’s too philosophical in that it seems to throw words around that are not pinned down to anything. You are disagreeing with her about a distinction between “purpose” and “sub-purpose” without any sense that we know what those words means. I see philosophers doing that too often. [I’m not a philosopher.] It’s that sort of practice — using words as if they had well-defined meanings even though they don’t — that makes philosophers lose credibility outside the humanities. I’ll be very frank: this is really bad news for me. To explain why, I need to explain my background: I’ve studied molecular- and neuro-biology. Left the field early on, dissatisfied. At the time I didn’t know why, but now I have a very strong post-hoc explanation: over-reduction, which is the way I understand charges of “scientism” (so to acknowledge them and avoid dismissing the lot). 1. (Some, but abundant) Ignorant scientists that assume all philosophy is sophistry, just want to get the next grant and don’t care if their research isn’t ground-breaking; if it pays the bills, it’s good enough. 2. (Some fairly outdated) ignorant philosophers that obstinately refuse to look at and study the huge amount of evidence that (neuro-, brain- and mind-related-) sciences are piling up. As you say, there are plenty of stellar philosophers that are quite happy to dive into oceans of research papers, so my outside perspective suggested that the trend is clear: armchair philosophy looked on the way out. Then I read your piece, and you concisely describe exactly what looks to me as the right attitude. And add that therefore you are scared for your career. What a pity. Please don’t give up, it may not be the beaten track, but it leads somewhere: we need more philosophers like you, not just the superstars.